It was almost 10 in the evening, the streets were busy with hundreds, if not, thousands of people shuffling by—still—and the wind was blowing pretty heavily just as predicted. Signs of stores and restaurants, they shine the brightest at night, forming such a intriguing aggregate. I kept my hands clenched inside the pockets of my jacket. I refused to go home just yet trying to read all the signs in hiragana or katakana with my basic Japanese skill. For my very own personal amusement, of course. Tall buildings and crowds streets makes me feel so little, in a world so big. Being in such place with no one who knows me, or whom I know, practically makes me an alien. Life has been pretty tough for me this year—not that it's not for everyone, too. I have been busy distracting my self with a lot of thing such as writings, business, internship, and I even joined a competition related to my studies,—something I've always wanted to do for the sake of good resume, of course—which I didn't win, by the way, but still a thing to be experienced. The outset of this Tokyo vista was also one of them. Clueless, uncharted, things are happening too fast. I was looking at my laptop screen for days, hopping from one coffee shop to another, doing my final project before graduating uni. Until one day I was notified that I got accepted for an exchange semester to Japan. I was surprised because by that time, I had thrown my hopes away and was gonna face my fate to finish uni early January next year. But not only fate gives you the thing you deserved, it also has the right timing for it. 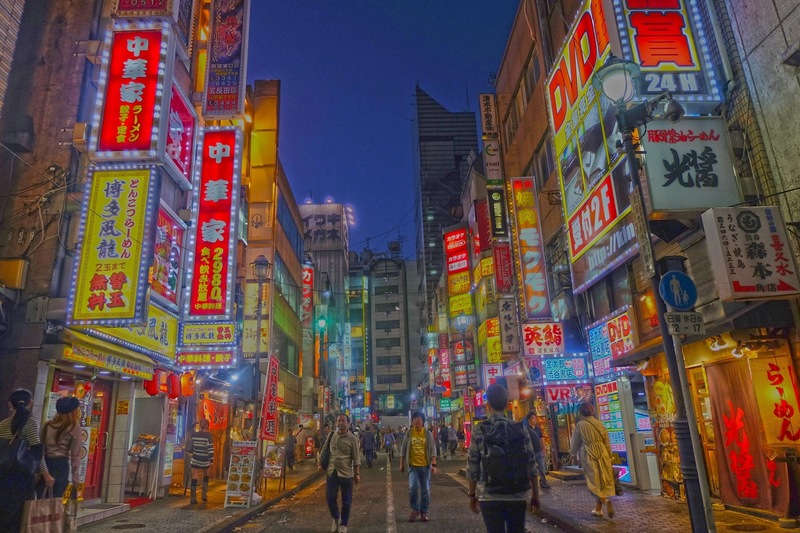 I didn't know anyone before coming to Tokyo—no families, relatives, friends—I don't look like locals, and most people just don't speak English. I was always kept busy with my own errands that when I actually went out, the city just made me feel like a tourist. I felt like living abroad—to be more precise, living abroad alone—could be the retreat I needed. It's been roughly a month since I stepped foot in Tokyo, and sometimes I still feel like Charlotte in the set of Lost in Translation—both for the language limitation and existential crisis. The first time I walk myself in to the train station, I could barely see my way, because it was filled by people walking towards every direction. I have to take 3 different trains everyday just to go to school, and complicated as it sounds, I lost my way home a couple of times on my first week. Everyone here walks at a remarkably fast pace, completely unaware of anyone else's existence. Somehow to me, it shows that they value time so much. Coming from Jakarta, a city that is just almost as crowded, Tokyo, however, gives me a complete different view. People queues behind lines and give ways for others to get off the train before they get on. Bags are kept on laps to allow other passengers to sit, and phone conversations are absolutely forbidden, something I had never experienced back home. It was strange at first, but since I'm the alien in this country so I'm the one who has to blend in. And guess what, it actually feels good to follow the rules—to live in orderliness. To start with, the city is not that much of a stranger to me. I went to Japan exactly a year ago for a summer holiday. But although it looks like I took pictures in every corner of every famous touristy spot there is, it was only a 5-day trip—even then I knew it was way too short. I've always wanted to come back but never would've thought I was gonna spend months here—jackpot, eh? I have only visited few places so far. Everyday I just have this tendency to wander around instead of going straight home. It raised me to wonder, how does it manage to always has something new to be discovered? It's just crazy how it never gives me the fulfillment I needed—at least for now. I cant wait to share more. These pics are amazing! Would love to visit here. Wow! I would like to visit Tokyo asap! Woohh! Tokyo seems to be so beautiful and happening. Wow! 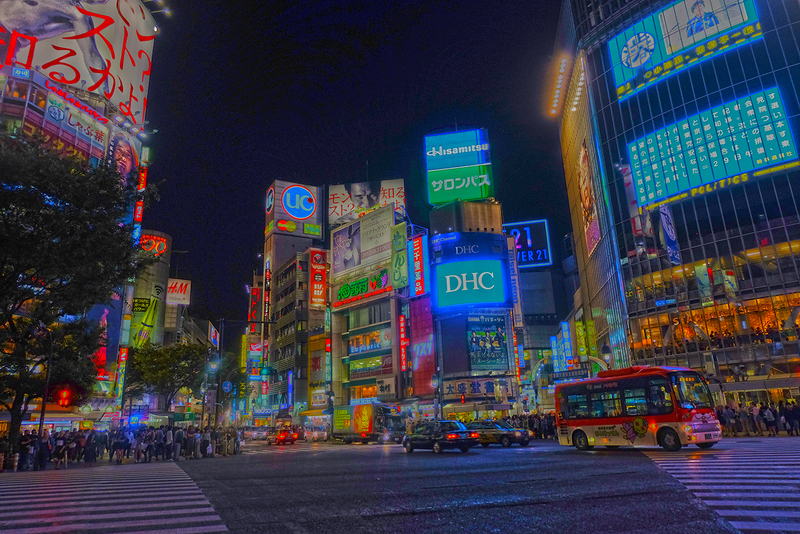 Tokyo is more than just amazingly cool! I wish you a pleasant stay and even more memories to keep! Such beautiful photos! Looks amazing. I can see how you could get lost though. Lots of people. Great pictures! Japan is truly a magical place. I've been on three vacations there and it's far from enough. Everything from the natural scenery to the people makes the country one of a kind. You're so lucky to be spending a semester in Japan! I know you will have the best time. Cheers!